What's the name of this mini game? MUST KNOW! 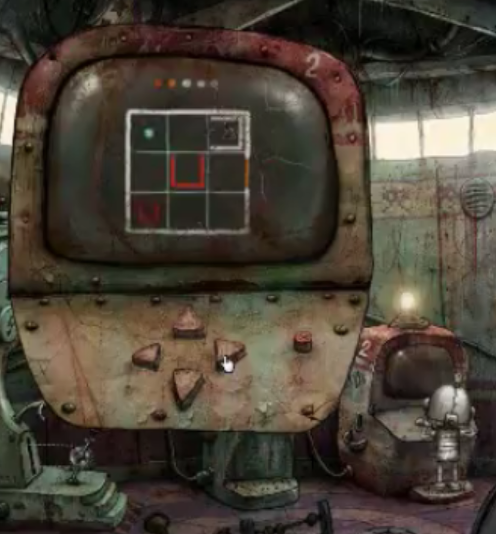 Amanita Design forum > Machinarium > Machinarium Puzzle Q&A > What's the name of this mini game? MUST KNOW! Re: What's the name of this mini game? MUST KNOW! I love that minigame, too. However, I think it isn't a copy of an actual game but was fully invented by Amanita. It could be great to develop a clone with a lot of new levels. Btw, if it's actually based on an existing game, I'm curious to know its name too. Yes, this as an awesome minigame and I'm interested in it too. May be I'll try to clone the existing levels and hopefully to devise some new ones.